A less destructive Hurricane Irma than expected should be a relief for lenders from Citi to SunTrust. Interest rates and trading revenue are falling, though, as global tensions and credit costs rise. Dimming hopes for major policy change also keep the industry forecast cloudy. Sand covers Ft Lauderdale Beach Blvd. 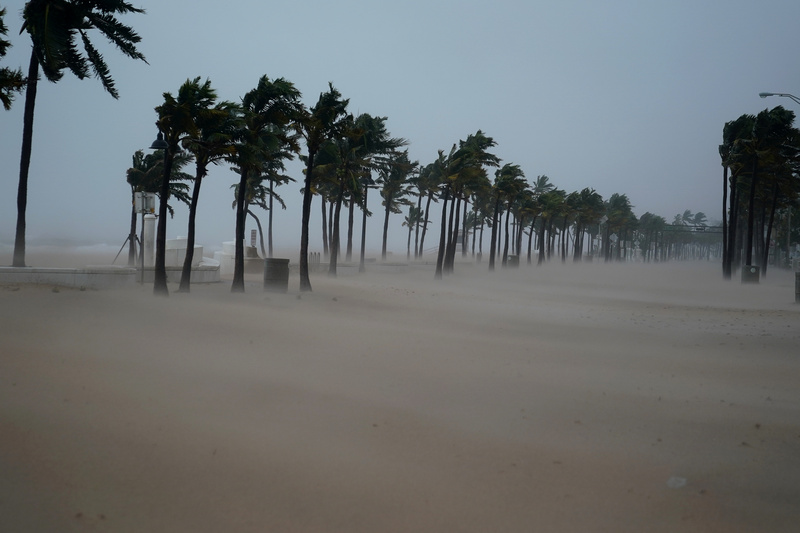 after Hurricane Irma blew though Ft. Lauderdale, Florida, U.S., September 10, 2017. Hurricane Harvey could cause up to $1.1 billion of loan losses, with Hurricane Irma leaving up to $1.9 billion of bank red ink in its wake, according to research by Goldman Sachs. Zions Bancorp could be the worst hit, with a cumulative earnings impact as high as 19 percent. Earnings at SunTrust and Comerica take a 10 percent pounding, with Bank of America, Citi, JPMorgan and Wells Fargo losing up to 2 percent.